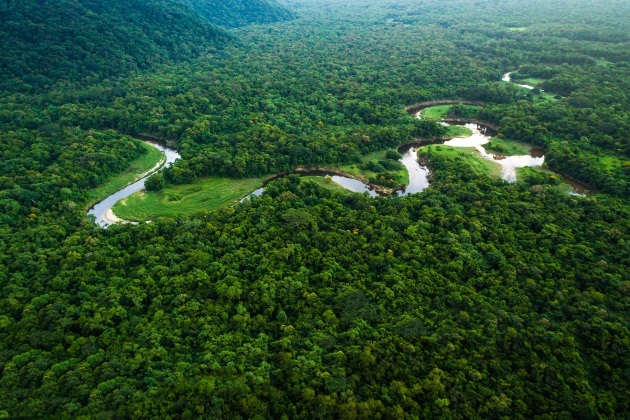 For many environmentalists following the catastrophic effects of global deforestation, battles over Amazonian land-use have never been more prominent. You can also add a public health crisis to the list of problems caused by Brazil’s environmental deregulation. Since Bolsonaro was elected, it is stated that Amazon deforestation in Brazil has increased by 13.7 percent. This from an administration that shocked the world by immediately instituting highly controversial social and environmental changes while claiming that it is seeking a balance between economy and environment. Bolsonaro famously referred to this “balance” at the World Economic Forum (WEF) in Davos last month. But when you’ve already shown an increase in overall deforestation in such a short period of time, balance gives way to something more akin to acceleration. “Ecological Accelerationism” is a better term for Bolsonaro’s environmental policy, but what exactly are the consequences? Nearly half of all of Brazil’s total greenhouse gas emissions are from deforestation. Pollution is the first and most immediate problem. According to the World Health Organization (WHO), in 2016, 6.1 million deaths were due to air pollution globally. Shortness of breath. Chronic cough. Fatigue. Headaches. Nosebleeds. These symptoms reflect a new public health crisis globally — one that is also increasingly a threat to Brazilian citizens, inside and outside the cities. Before Bolsonaro’s election, there were already 49,000 Brazilians dying annually from pollution related respiratory illnesses. Like other bureaucratic healthcare systems, Sistema Unico de Saud (SUS), Brazil’s universal healthcare system for uninsured citizens, is massively underfunded and woefully inadequate to cover the needs of a growing population, but it faces even more severe cuts under Bolsonaro. SUS is designed in three tiers: community clinics, local hospitals, and specialty hospitals. The community clinics are especially underfunded and require people to travel long distances to second-tier hospitals or skip treatments altogether. These are the untallied deaths due to austerity measures to rapidly cut forests down in one part of the country while shutting community clinics down in another part, just to save a little cash. Ultimately, this can lead to displaced and chronically ill populations who have no means to address their own needs. Add to this immediate impact the fact that deforestation is already contributing to more total greenhouse gas emissions. There’s no good health news from Brazil on the horizon. From the “lungs of the earth” to human lungs: Brazil’s new deforestation acceleration has serious implications for residents as well as the health of the planet.